Diabetes increases the risk of certain oral health issues like periodontal disease. If you develop gum disease, it makes it much harder to control your blood sugar levels. Taking the time to properly clean your mouth helps you avoid these issues and keep your blood sugar under control. When you can keep your blood sugar levels in check, it minimizes your risk for other diabetes-related problems. If you can keep your mouth free of plaque and bacteria that increase your risk for periodontal disease, you can have more control over your blood sugar levels. When you can control your blood sugar levels, you further decrease the risk for oral health issues like periodontal disease. People with diabetes should visit the dentist regularly to ensure that there are no major issues like periodontal disease. Diabetics are much more susceptible to developing periodontal disease because their bodies cannot fight off infection as well as healthy people. Because of this, it is very important to schedule regular visits with your dentist. Your oral health professional can help you keep your oral health under control so you do not have to worry about periodontal disease affecting the way you control your diabetes. Major oral health problems like advanced periodontitis might hinder your plans to get your teeth whitened. You should get a general dental checkup before you schedule your tooth-whitening treatment to ensure that your mouth is healthy enough to make it through the procedure without any major complications. Once you know that you have good oral health, you can sign up for a session that helps you improve the look of your teeth. 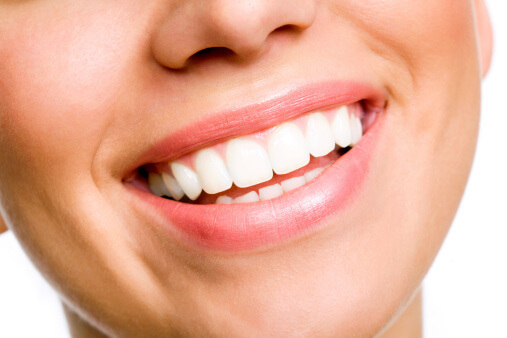 Even if your teeth are healthy, discoloration might make you feel embarrassed about smiling in front of other people. Daily eating and drinking might leave their mark on your teeth and change the color. You do not have to be embarrassed about yellow teeth when you can visit your dentist for a teeth-whitening treatment. Stop feeling uncomfortable about smiling in front of other people and sign up for a whitening treatment with your dentist. If you have chips, cracks, or other major issues with your teeth, you might want to look into a different cosmetic procedure like veneers or cosmetic bonding. If your teeth are all in good condition, though, you should talk to your dentist about getting a tooth-whitening treatment. At the dental office of John R. Carson, we work hard to give all of our patients the services they need to feel their best about their teeth. Whether you want to get your teeth whitening or you need a general cleaning, our team is here to provide you with the general, preventative, and cosmetic dental services you need to get your ideal smile. To learn more, visit us online or call (520) 514-7203. One of the most noticeable signs of gingivitis, which is the initial stage of gum disease, is bleeding of the gums. When you floss or brush your teeth, you should pay attention to the way your gums look. If you notice any blood, you should schedule an appointment with your dentist so you can get the treatment you need. If you catch gingivitis early, it is still reversible. Gingivitis might also cause a little pain in the gums. If your gums feel more tender than they normally do, it might be time to schedule an appointment with your dentist for a deep cleaning. Gingivitis occurs when plaque and bacteria start to develop at the gum line. Your dentist can give you a deeper cleaning that targets these areas to get rid of the infection before it gets any worse. Periodontal disease can also cause chronic bad breath. If you have noticed a distinctive odor in your mouth even after you brush your teeth, it might be time to schedule an appointment with your dentist. Dr. John R. Carson can help you avoid periodontal disease and other oral health issues. Our office is here to provide the dental services you need to maintain a clean and healthy smile. Whether you think you have a buildup of plaque in your mouth or you want to get a teeth-whitening treatment, we are here for you. To learn more or to schedule an appointment, visit us online or call (520) 514-7203. Maintaining healthy teeth and gums starts at home. Learning the proper way to care for your mouth gives you an effective way to avoid tooth decay and periodontal disease. Keep reading to learn the truth behind some of the most common myths about fluoride. There is currently no scientific proof that fluoride has any connection to cancer rates. Cities began adding fluoride to the water supply in 1945. Since then, more than 50 studies have looked for a correlation between fluoride and cancer. No one has found any significant link between fluoride in the water and increased cancer levels. Fluoride is actually a mineral. It does not have any of the negative side effects of medications like antibiotics. In fact, drinking fluoride helps people prevent tooth decay and maintain strong and healthy bones. Drinking water with fluoride is a way to enhance your oral hygiene efforts. A lot of cities, including Tucson, feel like adding fluoride to the water is too expensive. Researchers have proven, though, that adding fluoride to the water supply actually provides an impressive return on the initial investment. Adding fluoride to the water significantly reduces the need for fillings and other dental treatments. Some people think that getting fluoride in their toothpaste is enough to keep their teeth healthy. Although fluoride in toothpaste is important, drinking it in water helps to protect the teeth from decay even more. The combined effort of fluorinated toothpaste and water can do a lot to keep your entire mouth healthy. When it comes to your teeth, no one cares more than Dr. John R Carson. From preventative care to cosmetic dentistry, Dr. Carson knows what it takes to help his patients get their ideal smiles. To learn more about this top Tucson dentist, call (520) 514-7203. With a little bit of effort, you can maintain a healthy smile at any age. Keep reading for some tips that will help you keep your teeth and gums in top condition throughout your life. 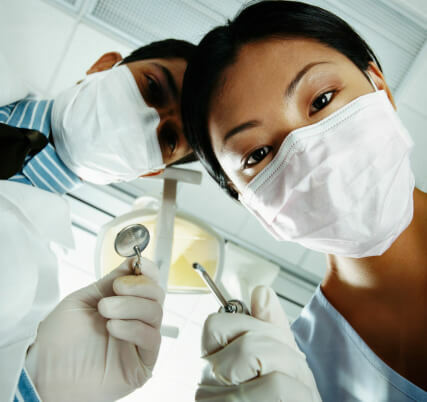 The dentist is a valuable resource when it comes to maintaining oral health. It is important to visit your dentist once every six months to get deeper cleanings and checkups that help you ensure that your mouth is healthy and clean. When you visit the dentist regularly, you can also spot any oral issues early so you can get the treatment you need to correct them before they cause major issues. The foods that you eat hugely affect the condition of your teeth and gums. If you eat a lot of foods that are high in sugar or acids, they might wear down your enamel and lead to tooth decay and periodontal disease. If you eat healthy foods like vegetables, protein, and calcium, you can keep your teeth strong. Drinking a lot of water clears out your mouth and increases your own saliva production. Eating hard fruits like apples can also clean your teeth as you bite down. Talk to your dentist about the right kinds of foods to eat to keep your mouth healthy. Oral hygiene is important at any age. 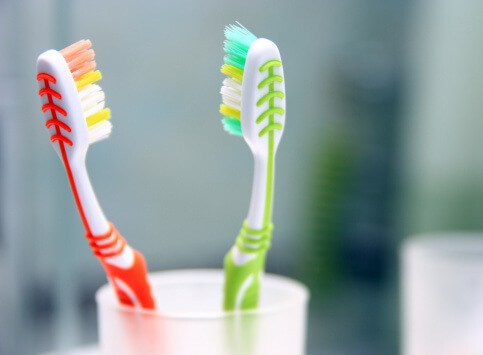 Make an effort to brush your teeth twice a day with a soft-bristled toothbrush. You should also floss once a day to get rid of food and plaque that might get caught between the teeth and the gums. If you properly clean your teeth, you can significantly reduce your risk for certain oral health issues. Dr. John R. Carson is here to help you maintain a beautiful smile at any age. Whether you need a general cleaning or periodontal treatment, our team is here to help you. For more information on our dental services, visit us online or call (520) 514-7203.